Timex has just announced an analogue watch with a contactless payment strap, letting you pay for coffees, shopping, and the underground with a tap of the wrist. 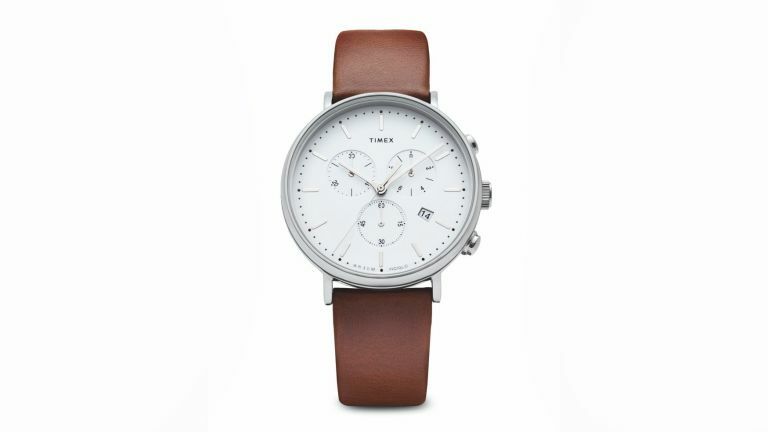 The technology has been added to Timex's most popular styles, the Fairfield Chronograph. The payment smarts come from bPay, enabling you to make purchases of £30 (or under). You'll also be able to track their spending, top up their balance, and take control of their contactless payments using the dedicated bPay app or website. “We are thrilled to be launching our newest innovation in wearable technology and partnering with bPay,” said Duncan Harris, TIMEX UK Sales & Marketing Director. “The functionality of the Fairfield Contactless watch gives our consumer the option of hands free payment, whilst retaining the timeless character of this classic chronograph watch. We are excited at the possibilities this technology offers consumers in payment solutions and will continue to work with our partners in bringing this to more of our collection”. We think it's great to see watch brands start adapting this technology, and is hopefully enough to stop the Apple Watch onslaught hurting traditional watch brands. The watch strap is available in black or brown, either included with a watch or purchased separately, so you can add contactless payment to an existing piece. The Timex Fairfield Contactless costs £159.